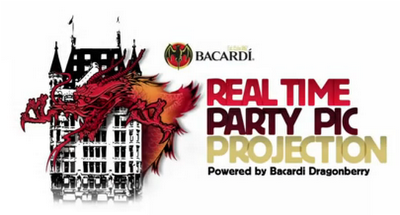 For the introduction of new drink Bacardi Dragonberry, on Saturday October 15 2011 Bacardi projected a giant dragon onto the White House on the quay in Rotterdam Gelderland. 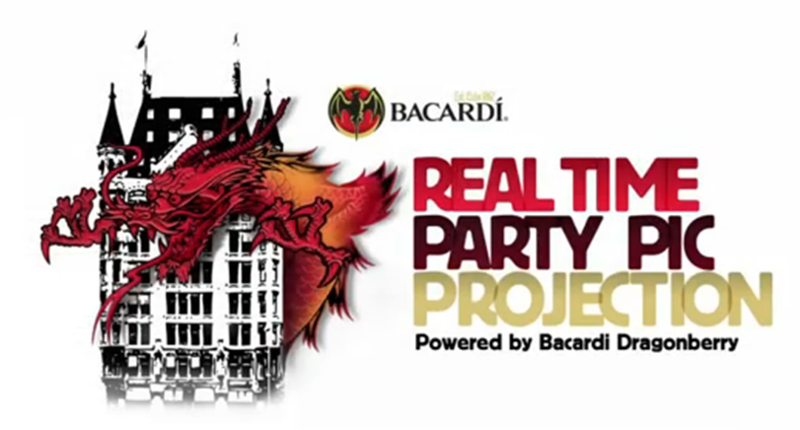 Real time photos were then added to the mix, so not only was the Dragon parading on the side of the building, it was also spitting out photos of drinkers who had just been photographed at a bar / cafe nearby! This is an interesting quirk on an architectural mapping projection - not just displaying the ad creative, but offering a showcase for real people too.